Workplace injuries don't just affect the injured party; they also have a significant impact on the family of the injured as well. In addition to the financial issues and strain the family may experience, the physical and emotional pain can be a lasting effect for a lifetime. 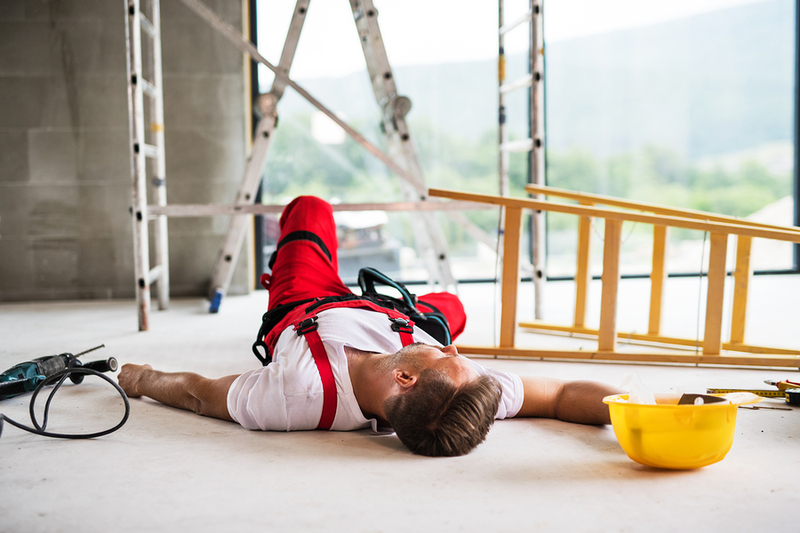 If you are injured at work and sustained significant injuries, then you may find that you are unable to go back to work and properly perform your duties. Not being able to return to work means lost income for the family and this coupled with mounting medical bills can become crippling. Employers do pick up a large portion of the costs involved with the accident through the workers' compensation claim, but the biggest portion of the costs are paid out by the employee and their family. In a workers' compensation case, 21% is paid by workers' comp, 11% can be paid by the federal government, 5% by state and local government, and 13% by your private health insurance. This leaves you and your family with a staggering 50% of the costs involved. In addition to the financial strain a family will experience, they will also have to contend with the emotional strain and difficulty that comes along with workplace injuries. The lost wages can cause depression, high levels of stress, and all of this can cause strain to several different relationshipsincluding those relationships with coworkers and the employer. The injury can also cause damage to the employee's self-esteem and can lead to other health problems down the road. The emotional, physical, and financial strain can also be tenfold when it is a single parent household that is affected by the injuries. The stress can also become very overwhelming for everyone involved if they are the primary source of income for the household. Workers' comp was implemented to help provide a more fair and efficient outcome for the injured party following a workplace accident. The injured receives a certain percentage of compensation while they are out of work along with medical treatment for their injuries and in return, the employee gives up their right to sue their employer for any damages. However, while a portion of the medical bills are being covered, there is still a loss of their full income amount which can result in basic living expenses having to be put on the back burner including their housing costs, food, and other daily expenses. Direct costs include the workers' compensation payments, medical expenses, and the costs for legal services for the company. It has been estimated that employers pay a staggering $1 billion each week for direct costs regarding workers' compensation. Indirect costs include having to train replacement employees, an investigation of the workplace accident, and implementing the corrective measures needed to ensure that the same accident doesn't happen again. All of which can result in a significant decrease in productivity and employee morale can take a hit as well. So, as you can see, the effects of workplace injury are widespread. From the injured party and their family to the company itself. This is why it is so important to stress the importance of workplace safety and do what you can to make sure everyone is trained properly and refreshed on their training regularly. Finally, simply talking about safety is not going to be good enough. Safety rules need to be enforced and followed through, and this is a positive step in the right direction when it comes to avoiding future workplace injuries.